Nutritional therapist on hand to help tackle the causes of the rosacea, not just the symptoms. Experienced, helpful, friendly expert IPL practitioners at your service. Our advanced equipment is great but it’s even better in the hands of our highly experienced practitioners. Clinic located in Bank, free consultations. Rosacea Treatment Prices - Same day free consultations. 0% finance options available. 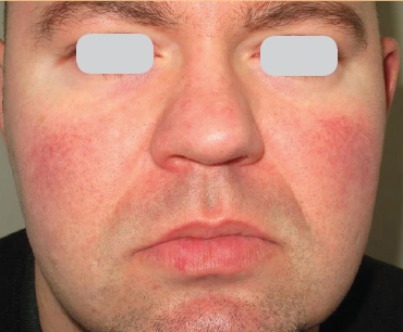 Rosacea is a medical condition where the veins in the face enlarge giving the face a red appearance. It typically begins after the age of thirty, though it can start before, as redness on the cheeks nose, chin or forehead which at first will just come and go but as time passes the redness tends to get darker and more chronic. Left untreated veins to start to become visible, bumps and pimples start to develop and in more severe cases the nose can become swollen and bumpy and the eyes irritated, watery and bloodshot. There is no known medical cure for the condition at this time so treatments available are tackling the symptoms or making lifestyle changes to cut down on the causes of rosacea flare ups. Here at Pulse Light Clinic, we do both of these things with our IPL (Intense Pulsed Light) treatment for the symptoms and our nutritional therapist for the lifestyle help. This combination is what makes us so different from other clinics out there and our treatment so effective. 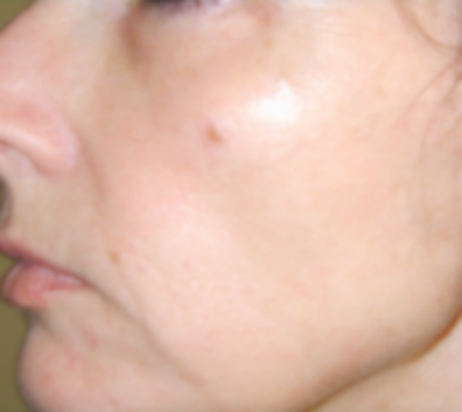 IPL treatments for rosacea work like this: The IPL device emits a range of light waves which are precisely calibrated to target the hemoglobin in your blood vessels. These light beams pass through your skin and are absorbed by the hemoglobin resulting in damage to the blood vessel wall. This controlled injury to the blood vessels triggers the body’s natural response to break down and remove the damaged tissue. New cells then replace the problem area with clearer, better-looking skin. We constantly meet clients who have wasted time and money on poor quality IPL and other rosacea treatments. Medical expertise is vital to the success of IPL treatment, and the problem is there are far too many under-qualified practitioners offering IPL and laser treatments for rosacea. Our approach is unlike any other clinic that we know of; we don’t just zap you with a laser and hope for the best. Our depth of knowledge in IPL combined with our nutritional advice makes us the leading clinic in successfully treating rosacea in London. We advise, treat and assess until we have your treatment fine-tuned for the very best results to ensure a dramatic difference to the appearance and discomfort caused by rosacea. Don’t be put off if you have unsuccessfully tried IPL before. We get dramatic results every time. You don’t have to suffer the symptoms or the distress that rosacea can cause. At Pulse Light Clinic, we are privileged to see both the visible and emotional effects that good Rosacea treatment has on our patients. Although it is termed incurable, our unique individual approach, perfected over 12 years has minimised symptoms and given Rosacea sufferers back control of their lives. During treatment, the glass surface of the IPL hand piece is gently applied to the skin, normally by our trained nurse practitioner. Light is delivered to the skin surface in gradient movements. IPL treats the damaged superficial layer of the skin while delivering thermal energy to deeper tissue. Clinical studies are now available to measure the effect this energy has on collagen production, which helps firm and tightens the skin. Depending on the number of conditions you are treating, and severity of the individual problem, a series of four to six treatment sessions may be recommended. You can return to work the same day and resume all your regular activities. By dividing the full program into several treatments the procedure provides gradual improvement with very low risk – and, it preserves the wonderful “no downtime” feature that people really appreciate. There is no simple answer to this question, as Rosacea has four sub types and symptoms also vary from person to person. Symptoms may include facial blushing and flushing, burning, redness and small red bumps. 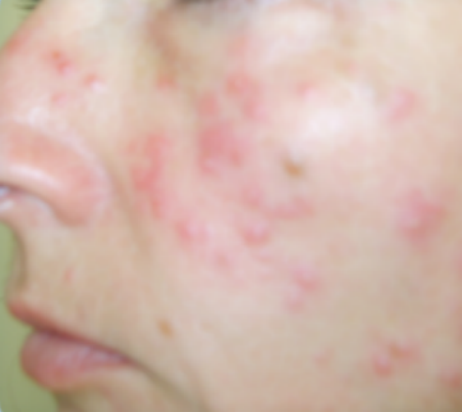 These may come and go, and so the best way to find an answer is 'if you think you might be developing Rosacea', then visit a rosacea specialist; Pulse Light Clinic offers a free first consultation. Causes may vary from person to person, although there is a hereditary factor for some people. 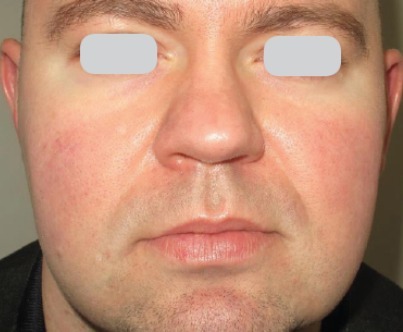 Redness in the face, often seen on the cheeks seems to be associated with the dilation of small visible blood vessels. Because there are four different subtypes of rosacea, the cause of one type of rosacea is often not the same as the cause for another type. Causes are quite diverse; for some people, it may be caused by triggers and diet, for others, it might be the sun and sun damaged skin, for others, it might be made worse by alcohol and drinks. Does it get worse as I get older? Whilst it varies from person to person, and people of all ages can be affected, and whilst it is not predictable, it does tend to gradually get worse as a person gets older, especially if untreated. Without treatment, it can (and often does) progresses from 'early stages to middle stages' in a year, whilst in the early stages have been identified and treatment commenced, progression could have been prevented. Which Foods should I eat for Rosacea? Again, there is no simple answer, this is because everyone is different, however, there is no doubt that diet is important. Additionally, some foods act as triggers. Staff at Pulse Light Clinic have invested time and resources into research relating to diet and Rosacea. Lisa Borg (Dip BCNH) is a qualified Nutritional Therapist and a valued member of the 'Pulse Light Team'. Because diet is so important, supplements are incorporated into treatment programmes. Vitamin and mineral supplements also help control flare-ups and have been shown as being effective in reducing symptoms; check out our page on 'Rosacea diet'. One of the main reasons why the Pulse Light Clinic gets such good results with treating Rosacea is because they use a combination of diet and IPL.